LovejoySchools.com reports on district activities and provides a forum where parents can exchange information. 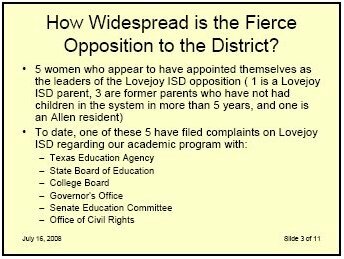 All information on LovejoySchools.com is about issues that need to be addressed for the betterment of the district and children. Mr. Moore gave a tabloid presentation on a well documented and researched web site created for the public good. 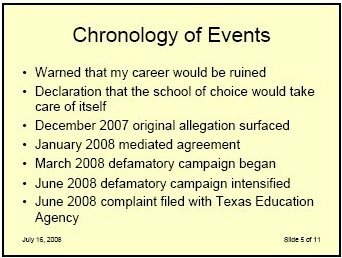 Document sources include Attorney General office , the Collin County Tax District, Lovejoy ISD, McKinney ISD, federal and state agencies. If anything on the web site is incorrect or the status has changed on posted material, PLEASE email the webmaster immediately and the corrections will be made. The forum is open for ALL OPINIONS that may or may not be factually accurate. Mr. Moore, nor any school official has contacted the site admin to notify of any errors. LovejoySchools.com reports on, but has no control over district actions. This site is a voluntary effort to FULLY inform Lovejoy ISD residents. Why is Lovejoy ISD more concerned about FUTURE residents, than EXISTING residents? Was the school created for real estate interests or Lovejoy children? LovejoySchools.com has saved the information that Lovejoy has provided the community for years. 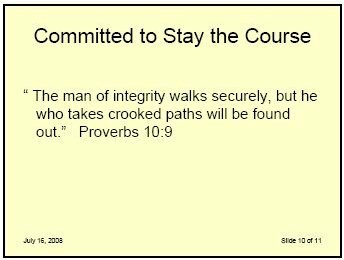 Lovejoy ISD has provided incorrect when promoting bond issues -examples being promised tax rates & curriculum offerings. -Distribute honest, professional factual information. -Don't give contracts to school board members. -Don't deny children who need services the help they need and is required by law. -Don't buy property for the benefit of school board members or developers, some of whom are on the Foundation. -Quit spending our money going to the Attorney General to keep public information out of public hands. 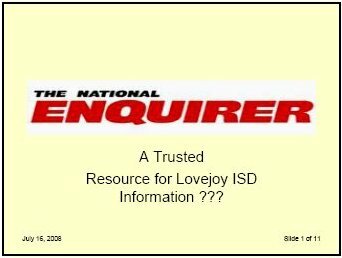 LovejoySchools.com (then named hartlovejoy.com) was created in Feb 2002, long before Ted Moore arrived at Lovejoy ISD. 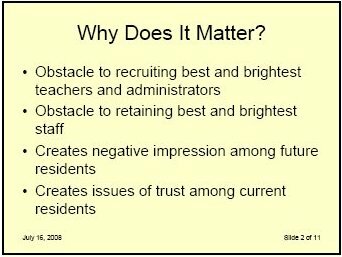 This presentation is the first time we have heard that this site is an obstacle to recruiting the best and brightest. Our LISD principals are working diligently to complete the hiring process during the month of June. Again, Lovejoy ISD is very fortunate to have a deep pool of quality applicants-this year we have over 50 applications per open position. The pool is deep at every level, elementary, middle, and high school. Who is responsible for retaining the best and brightest staff? Lovejoyschools.com? 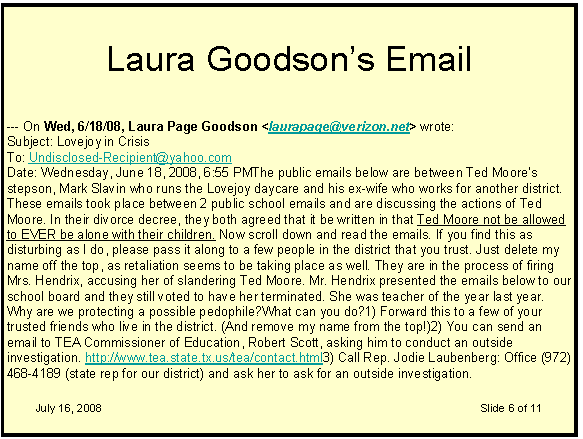 Mr. Moore recommended that the first Lovejoy Middle School "Teacher of the Year" be fired because she supposedly repeated a rumor a parent told her about Ted. The parent has been cleared of spreading the rumor. Where does that leave the teacher? So far - Fired. The only oversight public schools have is local control. Every taxpayer is responsible to monitor the three pillars of a great school - finances, curriculum, and staff. Mr. Moore is uncomfortable with the scrutiny that local control is providing. Being asked to serve on the Governor's 65% Citizen Task Force was an honor. Unlike the administrators who attended, I paid my own travel costs. Mr. Moore apparently does not like citizens who are engaged in the democratic process. I would recommend any parent who feels Lovejoy is intentionally denying services to your child to file a complaint with the Office of Civil Rights. Your children are counting on YOU to advocate and protect them. LovejoySchools.com existed LONG before Mr. Moore arrived at Lovejoy ISD. It is about the children and accountability, not Mr. Moore. During the bond election the superintendent's salary was published. It's public information available to every school district. 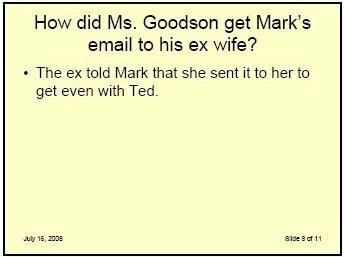 When you hire family members, getting family business in your professional life is the a risk - but that decision was Ted's and the Lovejoy School Board decision. Since the public was not invited to this meeting, this slide will require explanation/documentation. 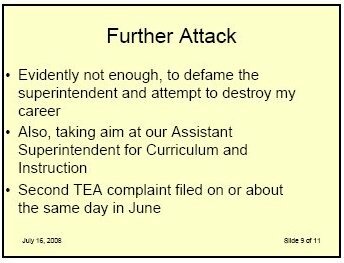 The defamatory campaign began when a teacher was falsely accused of spreading a rumor, that the alleged initiator has been cleared of. Many believe it was started by Mr. Moore himself to "front the story". 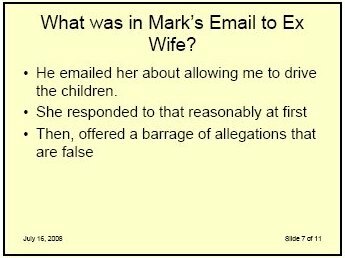 The emails could have been included in this presentation as well, but were not. Is there documentation to substantiate this claim? Mr. Moore unprofessionally attacks individuals rather than address and solve the issues which this individuals bring forward. Residents expect that the Lovejoy ISD school board and superintendent to focus their attention on the best education their tax dollars can provide their children, not personal matters. Mr. Moore knew about the "alleged misappropriation of funds" when he recommended Mr. Muizers be hired at Lovejoy ISD. Did the Lovejoy School Board Trustees? If so, why would they hire him? If not, why would they trust him to be completely truthful now, and take his recommendation that the "Teacher of the Year" be fired? Mr. Moore would like to meet with parents individually rather than face public scrutiny, where everyone can question the facts presented. 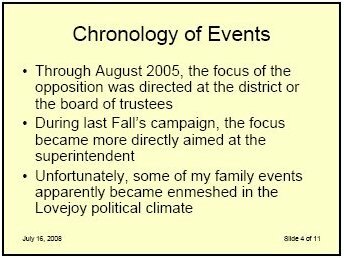 Lovejoyschools.com has long promoted a "grassroots campaign to support the district and balance the negative". 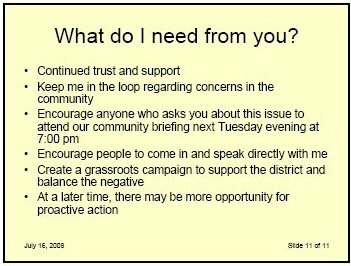 Ignoring negative issues does not turn them into positives, only addressing real issues in the district will accomplish that end. A group to go through finances with a fine-tooth comb and recommend better use of our limited tax dollars would be the most helpful.